Edinburgh based boutique spirits company Wemyss Malts has announced the release of their first batch of Single Cask bottlings of 2016. This years first batch of six casks, have been selected to showcase the best of Speyside, Islay and The Highlands and range in age from 13 to 25 Years Old. As per all Wemyss Maslts Single Cask releases, each bottling has been selected and named by the Wemyss tasting panel, under the watchful eye of industry aficionado Charlie Maclean. 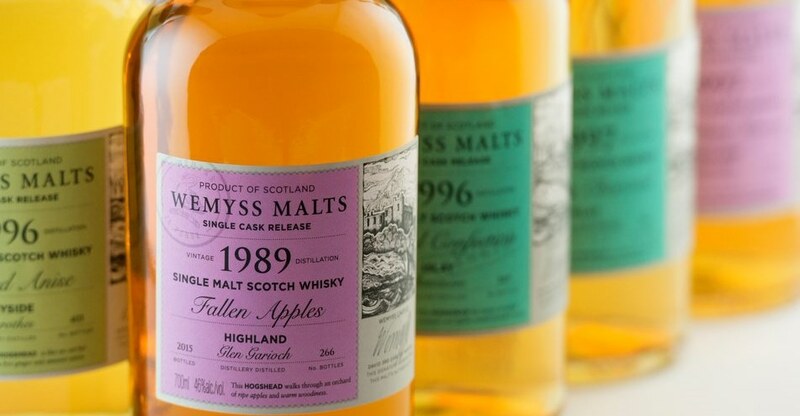 The new batch of Wemyss Malts Single Casks, will be available in limited quantities from selected retailers in the UK, EU and key Asian markets from February, with RRP’s ranging from £55 to £110.